DJ Kim "Absolute Music" - The Fun Disc Jockey! The perfect DJ to compliment Your Reception! Kim knows how to get them going … and keep them going! 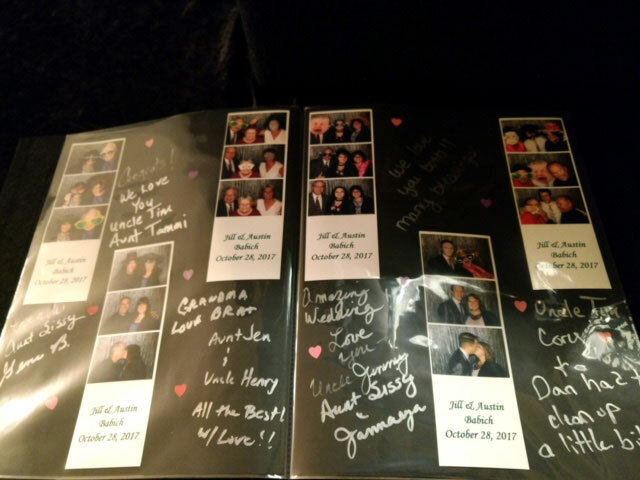 Photo Booth Memory Books Capture Your Special Event! I am the class adviser for the High School prom. We really enjoyed your entertainment services, last Saturday, at Christmas semi-dance and would like to reserve DJ Kim and the photo booth for prom, again this year. Your company DJs our prom every year. The date is May 4th at the: The Fountains Banquet Center in Parchment. Students are planning on contacting you tomorrow after school. It will be a 1920’s theme since the Jr Class is graduating in 2020! DJ Kim did an awesome job!! He kept people on the dance floor all night and kept the night flowing perfectly. Knew what he was doing for sure and just took over which was nice so I didn’t have to worry about it and was able to enjoy my own reception! He played a variety of music that all guests enjoyed and appreciated. The hall looked absolutely beautiful with the uplights and monogram! Everyone complimented how fun the reception was and how awesome the entertainment was 🙂 I appreciate Rusch Entertainment for having DJs that know what they are doing. Definitely helped to make our wedding night memorable! Everything went perfectly and just how my husband and I imagined! Thank you Rusch Entertainment and DJ Kim, you guys rock! 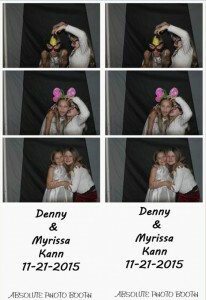 Rusch Entertainment provided the DJ and Photo Booth at our son’s wedding reception. The DJ did a great job and kept the dance floor occupied all night. He made a couple minor mix-ups during announcements but they were quickly corrected. 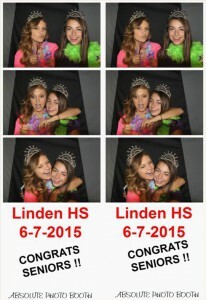 The photo booth was amazing!! The lady running it did an outstanding job. The props were fun, and the album the guests wrote in next to their photo strip was a great touch. They also provided a cd of all the photos. The owner Dean was such a pleasure to deal with. His communication was always quick and helpful. I highly recommend Rusch Entertainment!! I booked our corporate Christmas party with Rusch Entertainment, a DJ and comedian. Of course you are always worried – but I shouldn’t have as both were very good. We had Kim (DJ) and Bill (Comedian) and they were awesome! Kim started the evening with some Christmas carols/songs (5:00 pm) as were eating dinner and socializing – then Bill came on after dinner. He was so funny! Then Kim kicked it off with dancing until 11:30! Everyone stated they had so much fun and we look forward to booking with them next year! They definitely made my job easy. Hello Dean, I just wanted to let you know I am so happy that I went with Rusch entertainment for my wedding! Kim was amazing!!! He kept people on the dance floor and was so easy to work with as I had made some last minute changes! I am beyond happy with your business! The lady that worked the photo booth (I cannot remember her name) :/ but she was soo friendly too! Loved all the photos we got from that and the album! Thank you so very much I will highly recommend your business to anyone!!! Mill Pond Park with 300 Guestss! DJ Kim was awesome! He was very helpful and made sure that everything flowed smoothly. He was very nice and fun and he kept people on the dance floor all night! It was great! 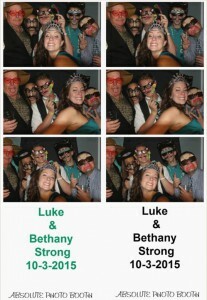 We also used their photo booth service and everyone LOVED it! It was super fun and we got a photo book that people wrote notes for us in too along with a CD of all the pictures. It was awesome. We had about 200 Guests at the Tullymore Golf Club & St. Ives Golf Course. We were really pleased with the booth and the person operating it. Had a lot of compliments on it. About 350 Guests at the Knights of Columbus Caro! DJ Kim did an amazing job at our Wedding in Tawas! The ceremony was beautiful and his timing was perfect! He brought everyone together at the reception for dancing, sing along, joy and laughter! I didn’t even tell him which version of “Waltz Across Texas” I wanted and he nailed it with Ernest Tubb! My grandparents married 65 years won the longest married couple dance! During dinner the music was exactly what we imagined and he picked It! He made things easy and everything went smooth without any stress. His interactions with the crowd were witty and on point. He made us all feel like he was part of the family. Love you Kim! Dean also was a great person to talk to during planning. He put me at ease being a nervous bride! To sum it up, Dean and Kim are thoughtful, kind, supportive and so much fun! Thank You! With love, Joshua and Maegan Baldwin! We had a blast at our wedding and Kim nailed It! Perfect timing at the ceremony and perfect blend of music at the reception. Thank you for making our special day so much fun! Kim was awesome! Thank you guys so much! Everything went so smoothly and our guests loved the music and photo strips! Kim was fun and experienced. Thank you for having part in our big day! Everything went well for the BRHS Athletic Association Sweetheart Ball Fund Raiser we had About 200 Guests. DJ Kim was great. Let’s rebook next year right now! Hi Dean – Kim did an outstanding job Saturday night. It was our first year for our fundraiser switching from a band to a DJ and it worked out perfectly! He was punctual, cordial, and perfect fit for our crowd and our event! We are unsure of our date for next year, but we would definitely like to request Kim to come back and be our DJ next year! Thank you for all of your help and support of our event at the Dow Diamond for about 250 Adult Guests From the Church School. Wow! I don’t even know where to begin. We weren’t planning on having a DJ, as it just didn’t work in our budget. Our matron of honor and best man were helping to make a play list and we were just going to use an iPod and my cousin was going to help MC and regulate the play lists. My mother kept bugging me about getting a DJ. I was getting stressed! But wasn’t much we could do. As we were getting lined up, I thought the music was pretty loud for just an iPod and speakers but was so caught up in everything that I didn’t think much of it. We are finally up at the door and it was just us and the matron and best man. I heard man introducing them, looked at her and said, “Did my mom get an effin DJ?! ?” As we got passed most everyone, we got to my mom and I gave her a look. She told me it was all my girls! Best surprise ever! So not only did Rusch work so well with my girls to pull off this amazing surprise, but Kim did an amazing job! He played everything we requested, but did so with a genuine smile on his face. I don’t think our dance floor was ever empty once it was open dancing. I will be referring them to anyone that asks and will use them for any DJ needs in the future. Thanks again for such an amazing job and being part of our perfect day! It was fabulous! Kim was soooooooo perfect, friendly, courteous and played all the songs that we asked for! He was wonderful……Also, Jeremy at the photo booth was wonderful also, everything couldn’t have been better! Hi Dean! Kim was a great DJ. He kept our wedding going all night with great music and he was a perfect host/speaker. Thank you very much!!! 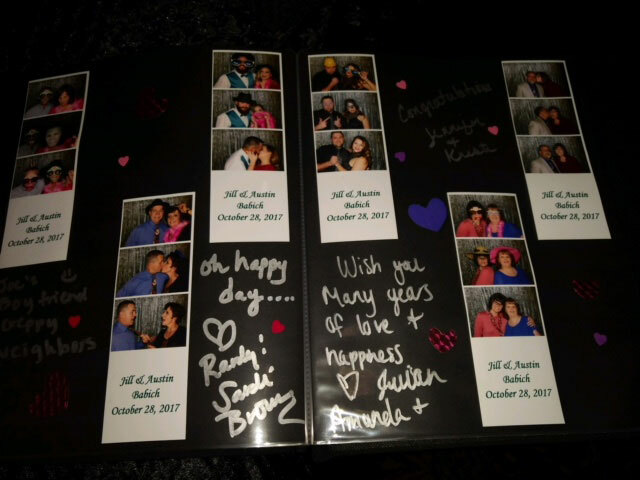 Because we chose Rusch Entertainment for our DJ and photo booth service, our wedding night has been the talk of all family and friend events since. Our dance floor was completely full the entire night. DJ Kim kept our guests from ages 85 to 1 entertained the entire night. 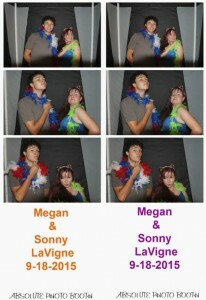 We also had an ongoing line at the photo booth the entire night. Again, all ages loved the photo booth. I would recommend Rusch entertainment to all of my friends and family. Over 400 people at the Midland County Fairgrounds-Gerstacker Buliding! Our DJ got switched at the last minute and I was a little nervous because I didn’t know anything about him. The night ended up being perfect! He got all of our song requests in, and the dance floor was packed the entire night. I had tons of compliments on how great the music and song selections were. Everyone made a point to say it was one of the most fun weddings they had attended. I had guests from as far away as California, Hawaii, Norway and Sweden and they all loved it! Thank you for a perfect night! Dean, Kim did an amazing job DJing our reception. He kept everything moving along and played awesome music. The up lights were fantastic and added just the right light and atmosphere. We were thrilled with our reception and had many compliments on how fun it was. That is mainly due to the music and dancing. The DJ was Absolutely amazing! Kim did a great job. We received a lot of great compliments for our wedding at the Riverwalk Place, Gladwin MI. We had a wonderful wedding, and DJ Kim was awesome! All of the music he played was exactly what I wanted – I loved all of his individual choices and he got most of our must play songs in there as well. I only wish we had started an hour earlier so that we could have kept dancing longer! Please give our thanks to DJ Kim – he was great!! Thank you so much for being such an awesome DJ at our wedding. the dance floor was packed and everyone was 100% satisfied! we had a blast! Hey there is just wanted to say that I was very pleased with DJ Kim Payea. I had some abnormal requests that weren’t always crowd pleasers which I know makes the job a little difficult for the DJ. I hand picked every song and also made a special requirement that he not take requests and to only play what was on the list. DJ Kim did exactly what I asked which made me very pleased. After all….it was my special day right? lol. Thanks again DJ Kim Payea and Rusch Entertainment! On behalf of the Board of Directors of Anchor Bay Yachting Association, I wish to thank you, for your services in March, for our annual Fundraiser, for the Spring Rendezvous in Midland Michigan. We are indeed grateful to you for your enthusiastic D.J. service, some of the comments we heard are below. “I think Kim was very engaging and played a good variety of music. I really liked that he started on time and took requests”. “Kept everyone dancing, and having a good time”. “I think he did a great job !”. Just to mention a few. Looking forward to using you again, please share this e-mail with Kim. Thank you once again. Sincerely, Secretary of A.B.Y.A. – P/C Craig S.
DJ Kim did an awesome job at my June 2015 wedding at the Jordan Valley barn in East Jordan Michigan. Everyone had a great time with the wide variety of music that DJ Kim chose and he did an awesome job with the ceremony as well. Music sets the atmosphere so please don’t go cheap and try making your own playlist and hoping it works on those borrowed speakers. Go with DJ Kim and you won’t be sorry ! Kim did great, everybody said they had a great time, the dance floor was never empty. Kim enjoyed watching my son Zach show off his dance moves. DJ Kim did an excellent job! Had the dance floor hopping the whole night. THANK YOU SO MUCH! The DJ services provided by Rusch Entertainment was phenomenal! They were always professional and really quick with responding to my emails. The venue (Forest Edge Banquet Center) where I had the reception offered their own DJ services a couple weeks before my wedding, and I’m glad I didn’t switch from Rusch Entertainment. DJ Kim was fantastic! He really helped to make our wedding reception an absolute blast. Our guests complimented him a lot. He was so helpful, understanding, and patient. It was the most fun I have ever had, which may have been partially due to the fact that it was my wedding, but I also believe DJ Kim had a lot to do with making it such a great night. 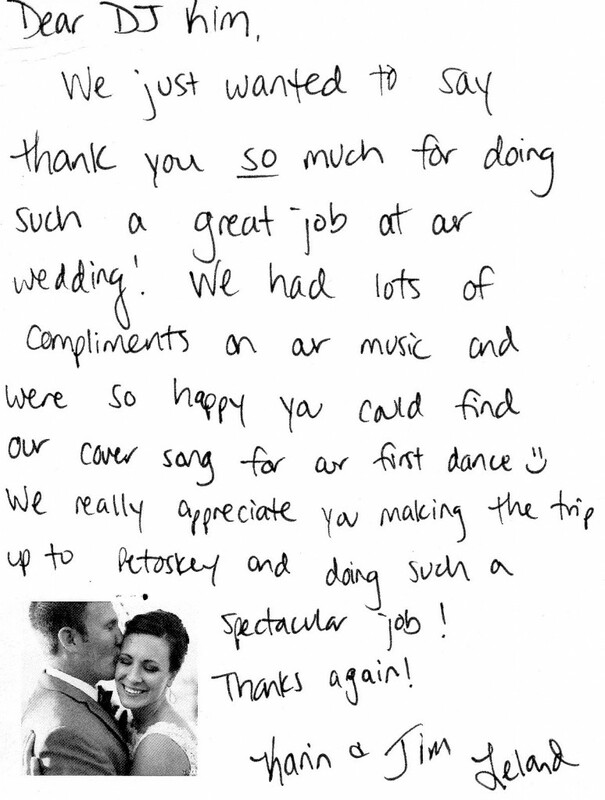 Hannah & Thomas, Came from Pennsylvania for their wedding at Castle Farms in Charlevoix and entertained over 200 guests! Kim did an amazing job. He did a great job at trying to get people on the floor. Thank you Kim! 250 Guests! Kim did a wonderful job at my wedding!! It was on a beach Resort in Oscoda, so it wasn’t making it easy for him to put up his equipment. He kept the crowd entertained as they waited for me. He played wonderful beach music while everyone was eating. Then he did a fabulous job keeping everyone on the dance floor. I don’t believe I saw the dance floor empty once! I Would definitely recommend him to friends. 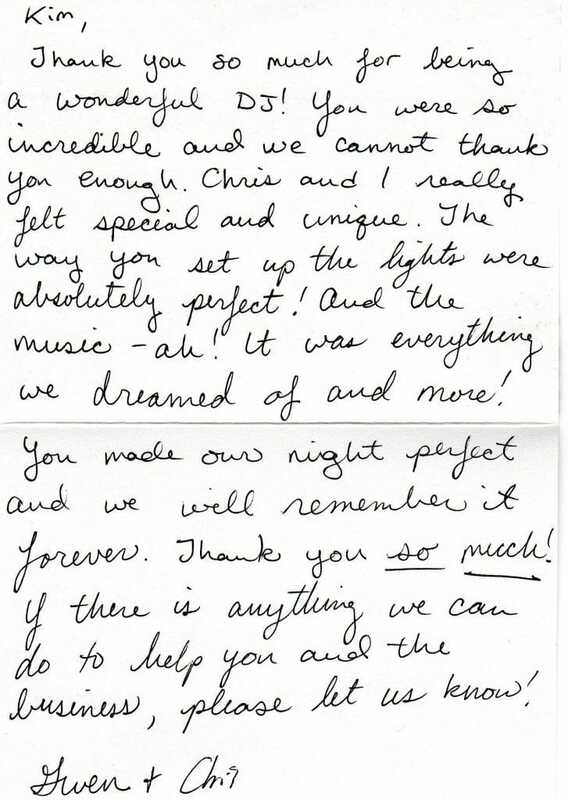 Rob and I want to let you and Rusch Entertainment know what a great job Kim Payea did at our wedding with the pre-wedding, during the ceremony, and for the reception. We have received many compliments on our wedding and what an enjoyable and fun time our guests had. Kim kept the party going and it was most enjoyable. Thank you to Rusch Entertainment and especially to Kim. He did a great job! Thanks much! We could not have asked for a better experience with a DJ as we did with Kim Payea from Rusch Entertainment! All of my guests had a wonderful time at our wedding reception! I think the kids may have liked you most of all! They are still doing the dance you showed them to love shack around the house. If I or anyone I know ever needs a DJ for there event I will so recommend you! You were so awesome!! Thank you for being there on such short notice and being so fabulous for our special day! 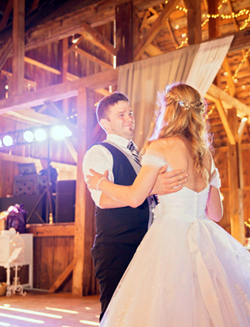 Thank you so much for your DJ services for our May 11, 2013 wedding at Castle Farms! We are so appreciative of Kim, for doing such a great job! He honored all of my “do not play’s”, kept the dance floor full, and made us completely happy! I told him what artists I liked and he did wonderful to play them all night for me, but still keep the rest of the crowd happy too! He was so friendly too! Thank you so much! Kim did a wonderful job at my wedding!! It was on a beach so I wasn’t making it easy for him to put up his equipment. He kept the crowd entertained as they waited for me. He played wonderful beach music while everyone was eating. Then he did a fabulous job keeping everyone on the dance floor. I don’t believe I seen the dance floor empty once! Would definitely recommend him to friends.